On December 2, Qatar’s Minister of State for Energy Affairs, Saad Sherida al-Kaabi, announced the withdrawal of his country from the Organization of the Petroleum Exporting Countries (OPEC) effective starting from January 2019. The Minister said the decision was a strategic one, which is based on economic considerations that has nothing to do with politics and aims to serve Doha’s long interests. This sudden and unexpected development came almost one month after the governmental reshuffle in Doha during which Saad Sherida al-Kaabi was named as the new Minister of State for Energy Affairs. Before assuming his new position, al-Kaabi was the CEO of Qatar Petroleum (QP) and the Chairman of Qatar Gas (QG). He joined QP in a very early stage and rose quickly to the highest position. During the last 12 years, al-Kaabi directed QP’s Oil & Gas ventures directorate, where he oversaw all of Qatar’s oil and gas fields’ developments as well as all the exploration activities. In this sense, al-Kaabi was seen as an ambitious and aggressive actor. Doha is not a big player in terms of oil, it produces around 650k b/d which makes it OPEC’s 11th biggest oil producer accounting for less than 2 percent of the total output. However, when it comes to the gas, there is a different story to tell. The small Gulf Emirate is the world’s leading LNG exporter and holds the world’s third largest gas reserves which accounts around 14% of the global reserves. Before 1997, Doha’s exports of gas were almost zero. Within eight years only, Qatar managed to increase its LNG exports to around 20 million tons. In 2009, it almost doubled that quantity raising it to around 37 million tons and finally to around 77 million tons since the end of 2011. The Saudi control of OPEC constrains the ability of small countries to express themselves and to play an effective role in the decision-making process. In a press conference held in July 2017, al-Kaabi announced that QP will be increasing the North Gas Field production by the equivalent of one million barrels of oil per day and double the size of the new gas project in the southern sector of the North Field to 4 billion cubic feet/day. The announcement came amid the Gulf Crisis, which made it a huge challenge. However, despite being under blockade from its neighbors, al-Kaabi’s statement gave the impression that Doha is in favorable position to carry out such a project in terms of timing and costs. The huge project will take around five to seven years to finish. It is expected to raise Qatar’s gas production from 77 million tons per year to around 110 million tons per year, that is around 43% increase, which is almost equal to the equivalent of 6.2 million barrels of oil per day. Once completed, the mega project will further enhance Qatar’s position to the top of the global gas industry and help Doha defend its leading position against newly coming rivals such as Australia and even U.S.
OPEC is being used by the big players to suit their national interests by utilizing the capacity of the smaller players and forcing them to accept policies which might not necessarily serve their own interests at certain times and circumstances. The Saudi control of OPEC is obviously constraining the ability of small countries to express themselves and to play an effective role in the decision-making process. The organization is supposed to take into consideration the interests of its member states and to utilize their joint powers to their greater good. Instead, OPEC is being used by the big players to suit their national interests by utilizing the capacity of the smaller players and forcing them to accept policies which might not necessarily serve their own interests at certain times and circumstances. The decision to quit OPEC had a wide support among Qataris. Qatar’s former PM and FM Sheikh Hamad bin Jassim al-Thani expressed his support for the decision by saying “It is a wise decision. This organization has become useless, and adds nothing to us. It’s used for purposes that hurt our national interest.” Like other Gulf countries, Qatar depends on oil and gas revenues to support its economy. However, according to IMF estimates, Doha would need the price per barrel to be around $47 to break even on its fiscal budget compared to $88 in Saudi Arabia. As a small oil player, Qatar had not much to lose by quitting the organization and thus, the political message was much stronger than the step itself. From this perspective, the decision to quit OPEC is not only a protest against such mechanism which is increasingly monopolized by Saudi Arabia, but also a statement which says that Doha is no longer willing to play by rules and conditions dictated by Saudi Arabia. It is a declaration that from now on, Doha will put its national interest ahead of anything else and will pursue it by following a more independent foreign policy. The decision to quit OPEC is not only a protest against OPEC, which is increasingly monopolized by Saudi Arabia, but also a statement which says that Doha is no longer willing to play by rules and conditions dictated by Saudi Arabia. 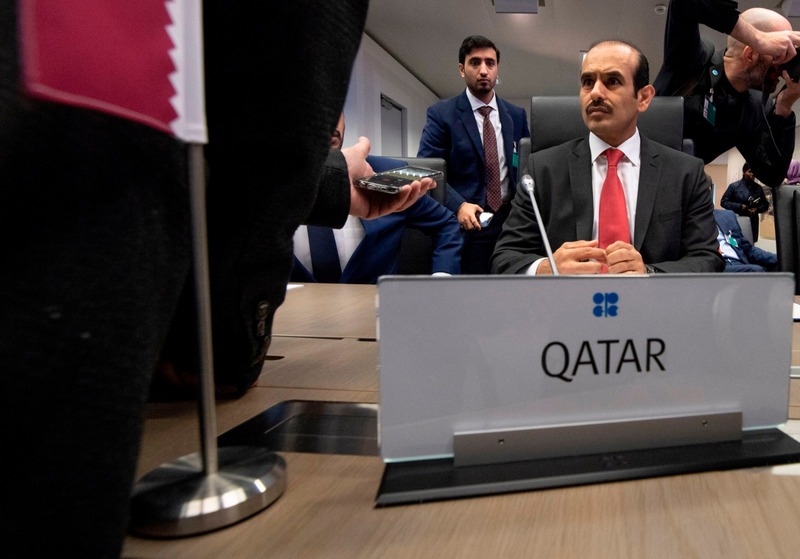 Many experts speculate that no serious consequences will follow Doha’s decision to quit the organization whether regarding the oil prices or regarding OPEC itself. After all, Doha is a small player in OPEC and it is not the first time a member state decides to withdraw its membership. However, this doesn’t mean that the step will be merely symbolic either. Most probably, Qatar’s decision will raise more questions about the way the organization is running and most probably about the feasibility of its existence as long as it is seen under the control of one state. By leaving OPEC, Doha managed to highlight again the negative implications of the Saudi foreign policies since MBS rose to power in the Kingdom in the last few years. Many countries are feeling frustrated and tired as a result of this shaky reckless Saudi behavior. In this context, the Qatari decision might encourage others to follow the same line especially if Riyadh maintained the same attitude in the future.